School is going to be out in a few days. My children are going to be home all summer for the first time in years. No summer camp this year. So what am I going to do with them? This is going to be the tightest summer yet. For the first time ever even bus rides are going to be difficult. For the last few weeks I have trying to come up with things for us to do that will not break the bank. I have been having a hard time trying to figure out what the kids can do. I have to admit part of it is that I want to take them to the water parks, the fairs and other fun things summer is full of, and I cannot. The funny part is, the kids are happy to just play at home. I don’t think they care as much about what they are not doing as I do. They are more interested in video games, watching TV and playing board games with us. Not that they are going to be doing a lot of that! When I think about it they are going to be having a summer more like the ones I had growing up. My family never did the things I have been feeling bad about not doing with my kids. So what if we can’t go out and do a bunch of stuff. Who said we had to! (me, lol). We have a recreation centre within walking distance. 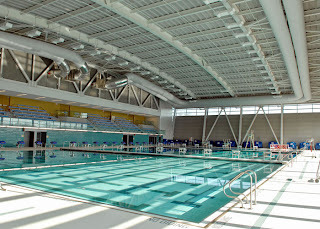 The pool is open for a couple of hours every day to the public. We have our passes already. Once I know the schedule I will know part of what we will try and do each day. Swimming is a lot of fun and it will help keep us cool. Water Parks. We cannot afford to go to the local water park this year. However there are some free mini water play areas at some of the parks. The one up the street has a tinny section with water activities, more of a water spot for babies and toddlers. Also there are no bathroom facilities there. So that kind of takes that off the plans for summer. There is a nice water play area at the biggest park in town. It is one bus ride, and there are bathroom facilities there. Drawbacks, we have to bus and that is $10 each time. Also the park is where all the big festivals take place. We don’t want to take our kids there when a festival is on because we just don’t have the money to go to a festival. We are not going to put our kids through that if we can help it. So trips to the water play area are going to be few, if any. Beach. We go every year at least once, sometimes twice. We will save so we can go this year. Some changes though, more packed lunch, less buy something there. The kids always have a blast and want to spend all day at the beach. This has always been our big family summer event, and we are going to make sure we can do it this year. It takes planning, and using a granny cart to bring all our stuff on the bus but it will happen this year at least once. 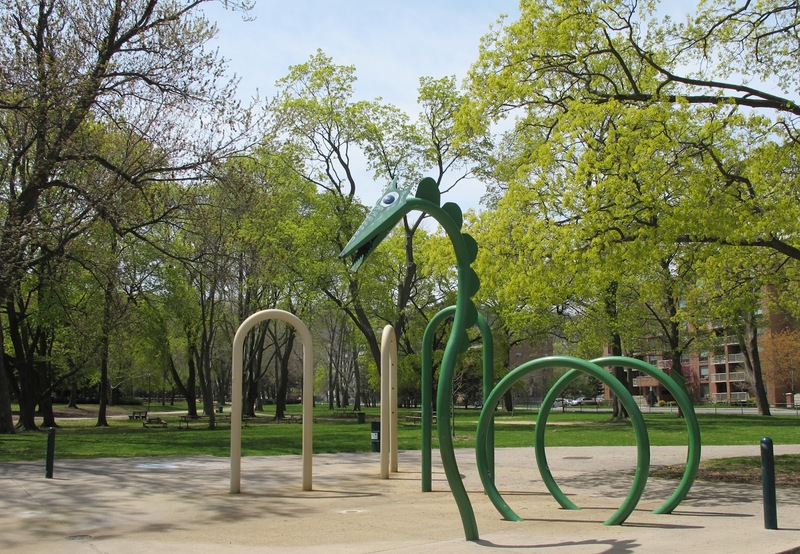 Parks – we have a nice one just down the street, no bathroom facilities though. I think we will be going to the park on nice days. We can walk home to use the bathroom. Playing in the back area. It used to be nice, than the landlord took the play area out. Now we have an open area. The bigger kids are using to play soccer, football and even baseball. They don’t let the little kids have any space. So my kids will be going out when the teenagers are not using the area. They have room to bike, run around and have fun. We are going to be putting all our water play stuff in the front yard this year. Why, because the teenagers have taken over the back area. Also there is not a lot of shade in the back anymore, we don’t have a sun shade this year. However we still have a wiggly worm, slip and slide and a little wading pool the kids can sit in. Water guns will be a big thing this year. They can play and water the grass at the same time. I am sure we are going to be going through a lot of chalk this year. Also I think we are going to let the kids take out toys that were indoor toys only last year. The more things they can do and play with the better. They can enjoy playing with the kids around here and their own toys instead of being at summer camp all day. They both like the fact that they are not going to camp, even if it means they miss out on all the trips to the big water parks and other fun things we cannot afford to do. I guess the biggest thing I have learned is that my kids don’t need to go to the parks, water parks, and other large expensive activities to enjoy their summer. They just want the freedom to run around and play.